Managed Services registered massive upsurge in the latter half of 2015 and these are expected to continue making an impact this year too. If we go by industry statistics, almost 60% of large and small scale enterprises have deployed some kind managed service as part of their overall IT strategy. Service providers claim that Software-as-a-service, Office365, managed communications, remote monitoring, mobile device management, disaster management and managed network security were being highly sought after by their clients, leading to an increase profit margin of 25-100%. The latest innovations are focused around the public cloud and MSPs are looking for ways to draw certain differences between their Amazon Web Services and Microsoft Azure offerings. 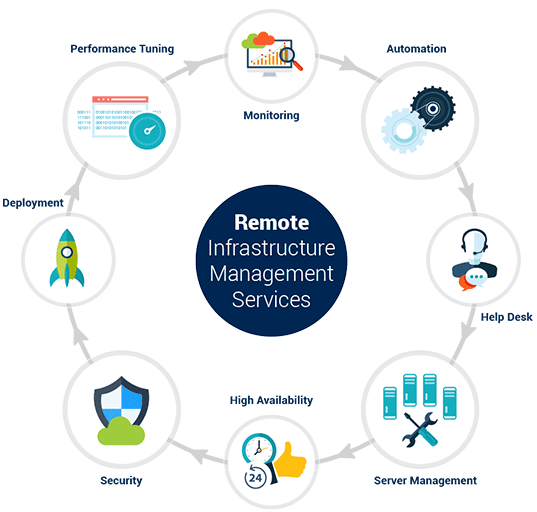 Moreover, the vendors and distributors have come up with updates to ensure that the professional services are fully automated and consumers can leverage the best from remote monitoring, their robust portals and management platforms. Still, a lot more is expected out of the managed service market in the time to come so we have predicted the 10 biggest trends for the upcoming months of the year. Managed Service Providers have been engaged in price wars until now owing to the increased competition in market and customer preferences for lower price tags. Some of the customers choose a particular provider only because his services are ‘affordable’. But, it has been observed that lower prices have affected the market rather negatively because customers are drifted to ‘cheap’ packages which are often substandard. However, industry experts predict that businesses are going to move beyond lower price tags and focus more on quality- by actually assessing the specs, benefits and features offered in a particular package. So, expect quality-centered packages rather than the ones based on prices. MSPs see direct attach storage and private clouds as highly money-spinning markets because the digital storage needs of enterprises have mushroomed in the recent past. Managed Service Providers are offering storage and sharing options which allow administrators to create users, screen performance and carry out maintenance in an effective manner. Storage tiering with serial-attached SAS drives will prove to be cost-effective propositions for business owners, cutting per GB cost by almost 90 per cent. New features are likely to be incorporated in the remote monitoring and management platforms to offer additional value to both MSPs and their clients. In fact, RMM powerhouses are expected to update their flagship platforms incorporating better automation, integration, cloud and mobile compatibility. Mobile device management platform that can assist with everything from onboarding to device deployment will prove to be a major plus for the clients. Cloud Backup services are as essential as any other part of cloud migration as data loss due to any factor is the major fear for even the biggest enterprises. A MSP that is not providing cloud backup service is missing out on a rather bigger opportunity. Ensuring data protection for customers for years to come will provide MSPs a highly competitive edge. In some industries like healthcare or financial services, conforming to the regulations is a must. This has resulted in many MSPs offering compliance-as-a-service which is highly valued by patrons because a large number of companies have to deal with legal and reputation ramifications due to non-compliance. Any managed service provider offering this service is likely to help its clients in protecting sensitive information and reach out to more consumers in highly regulated industries. Professional services automation vendors are making their presence felt and that too in a very impactful manner. New platforms of PSA are being launched that have multiple features including centralized billing, augmented serialized inventory tracking and the ability to assign one contract to multiple accounts. Direct sales models of the PSA Vendors have transformed to channel-friendly models to embrace solution providers. The way MSPs oversee customer IT operations is crucial, so vendors have come up with specialized portals that allow the service providers to do so in a simplified manner. Some of the managed service programs allow aggregation of hardware, software and all other components of vendor maintenance in a unified package. Expect distributors to offer backup platforms that will enable MSPs to manage the entire gamut of client’s backup using a single tool featuring remote access to everything from protected machines to the cloud. These two services have become crucial for MSPs and are likely to trend this year. Though two-factor authentication is not immune to hackers but it still does provide an extra layer of security. It makes any attack on your system harder to execute, thus disabling a subset of the hackers. Lack of effective identity and access management can adversely affect compliance and hence MSPs are leaving no stone unturned to provide these services in the most effective manner. Many service providers crafted their services around Microsoft Azure in early 2015, offering suite of Azure-related managed services around SQL databases. The focus is on utilizing Azure for development, disaster recovery and backup. Enterprise mobility management are likely to become highly important for enterprises in 2016 so MSPs are gearing up for offering better mobile device management. It has become imperative for the managed service providers to identify and understand the MDM needs of customers to provide them optimum support. Increased Application Portability, Optimized IoT and an increased use of APIs and integration tools are a few more trends to watch out this year. 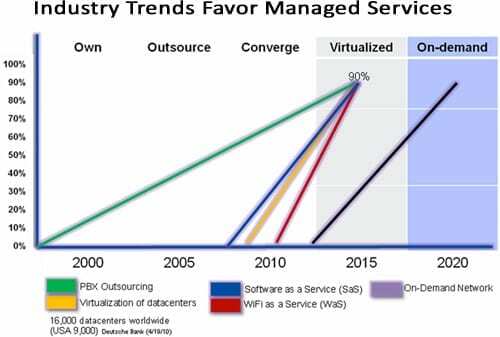 According to a report by “Managed Services market- Global Forecast 2019”, the latest technologies that drive Managed Services Trends are likely to drive the global market to a value of $193.34 billion by the year 2019. INFINIT as your most trusted Managed Services and Enterprise Grade IT Solutions Provider continues to develop the latest strategies to serve the ever-expanding base of customers.